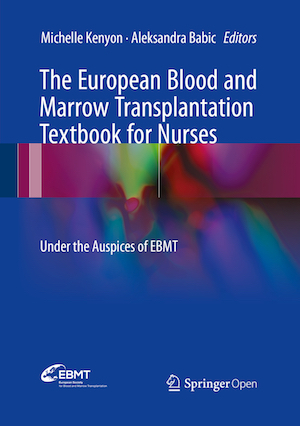 The EBMT Nurses Textbook was written by and for nurses with an interest in Haematopoietic Stem Cell Transplantation, and is the first book of its kind in the field. It brings together the knowledge of nursing leaders in HSCT and nursing care to provide nurses with a comprehensive and informative guide covering all aspects of transplant nursing, from basic principles to advanced concepts. It takes the reader on a journey through the history of transplant nursing, presenting concepts to help nurses improve the patient experience, as well as research and auditing methods. The Textbook also complements the EBMT Handbook, a popular educational resource originally developed in 2003 for physicians, with the latest and state-of-the-art practices in HSCT from the nursing perspective. The ultimate goal of the book is to support the EBMT Nurses Group's objective of improving the care of patients receiving HSCT. The EBMT Nurses Textbook has been a truly collaborative project with input from the best HSCT nurses across our international network. This Title is available in Open Access and can also be purchased in print (hardcover).